Electrical work can be dangerous. Always be safe when working around electricity and call a professional to handle the electrical work. Homeowners in Chicago are not allowed to do their own electrical work due to the potential for electric shock or fire hazard, only electrical contractors licensed by the City of Chicago can perform electrical installations.You should never take chances with the safety of your home, business, or any structure where electricity is needed. 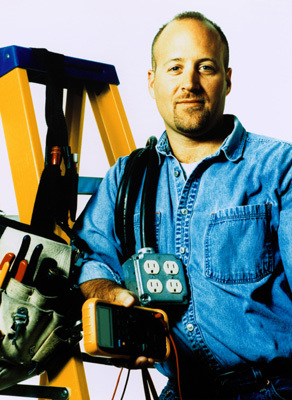 Finding a reputable licensed electrician will provide you with security, safety and functionality that an amateur or jack-of-all-trades will not be able to match. Make sure your electrician is licensed and familiar with local electrical codes. Every village and city in Chicagoland is free to set their own rules and requirements when it comes to electrical installations. Many adopted 2001 National Electrical Code (NEC) or 2005 version. Village of Oak Brook goes by 2008 NEC which is very different from previous editions of NEC. Village of Morton Grove adopted Chicago Electrical Code (different grounding rules). Also, many municipalities have their own amendments to NEC. For example, city of Des Plaines requires a panel with copper bus bars, city of Evanston requires a fused disconnect for dishwashers. Hire a licensed and experienced electrician to avoid costly mistakes. Friends and family may have recently had similar projects completed. If they are satisfied with the results, chances are you will be too. Other good reference sources include material suppliers, subcontractors, and financial institutions to check whether the contractor is financially responsible. If you are still unsure, you may also wish to check the contractor out with the building department. Ask to see a copy of the certificate of insurance. Not all contractors are licensed or insured. Although these non-certified electrical contractors maybe capable of performing technical work they do have their limitations. For instance, they are likely to fix electrical circuits based on a “trial and error” method, unlike certified ones who perform similar tasks systematically by considering the types of materials used, wiring methods and safety precautions in less time because of their years of experience and having the proper testing equipment. 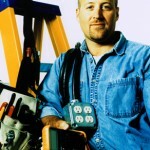 Compare quotes from every electrician with the others that you’ve received. Beware of extremely low estimates. If it seems too good to be true, it probably is. If it is way below others you will need to inquire exactly why. With regard to your own home’s electrical system you don’t want to be cutting corners. Check what kind of material they use. There are many really cheap and counterfeit electrical material and products on the market. Don’t let you electrical contractor use non UL listed materials.